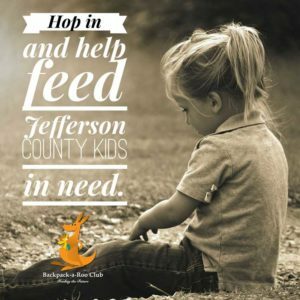 The Backpack-a-Roo™ Club is an opportunity for donors interested in becoming monthly, sustaining supporters of the Feeding the Future Program. 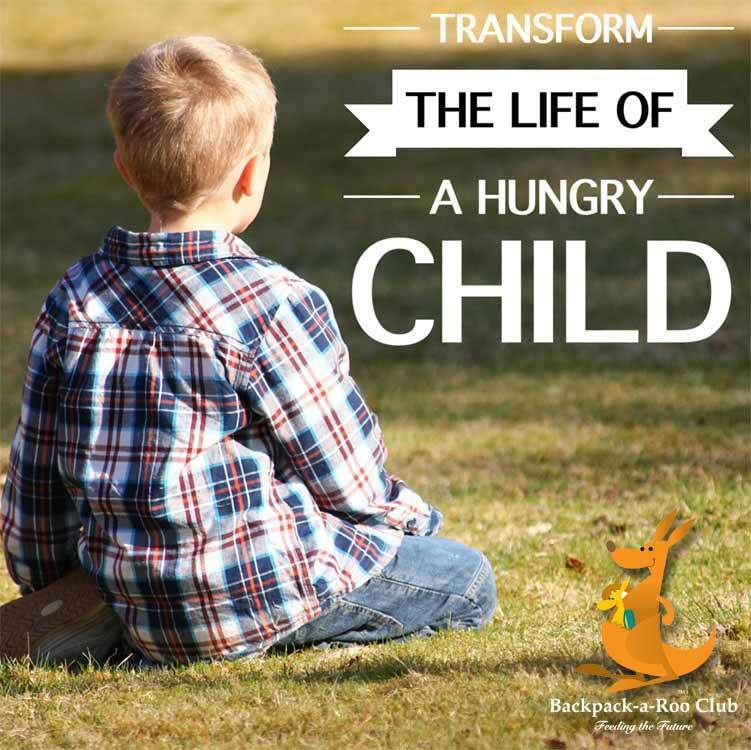 For the price of lunch out once each month, your membership will transform the life of one hungry child and his/her family for a full school year. Your $10 a month recurring donation is all it takes to provide fresh, nutritious food for each weekend. Kids who eat well miss less school, get better grades, and are more likely to graduate! 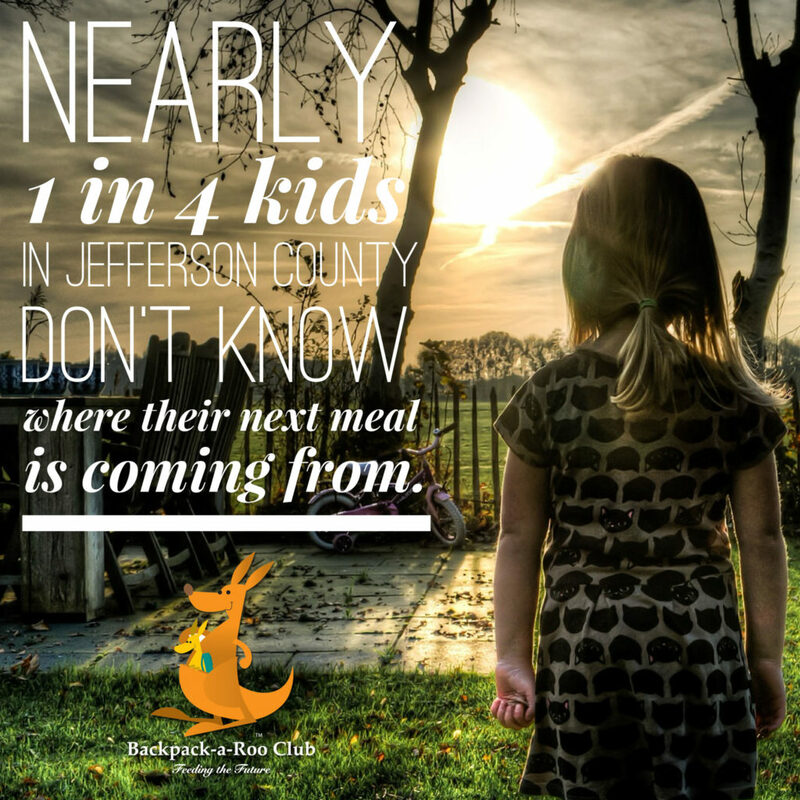 More than just a health issue, childhood hunger hurts students academically, socially, and behaviorally. The long-term impact to society is even greater when these children fail to grow out of poverty because they are unable to reach their full potential due in part to chronic hunger. Our mission is to provide these children with only the most nutritious food as well as fresh fruit each week. Therefore, most of the food we provide is purchased at wholesale prices or below. That’s why we’ve created the Backpack-a-Roo™ Club. As a Backpack-a-Roo™ Club member, you will receive a window cling for your vehicle, home, or business. Display it proudly so everyone will know that you’re a Feeding the Future program supporter and that you care about our community’s children and their readiness to learn! Support Feed the Future as an annual or monthly sustaining donor. Enroll Now for a One Year, One-Time Membership, just $120. If you are interested in MULTIPLE Sustaining Memberships at $10/month each, use this button. Enter the number of memberships you want at checkout. Please email Leanne Cadman with details of your other members’ names and information.